Renee’ Borns is driven to create. Borns has found a unique way to explore her inherited artistic drive. 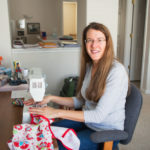 A UVU associate professor in the department of student leadership and success studies by day, Borns spends much of her after-school hours handcrafting decorative accessories—tote bags, zippered pouches, colored pencil caddies, composition notebook covers, pillows with book pockets, and girls’ sundresses—mostly using materials and knickknacks she finds at local thrift stores. 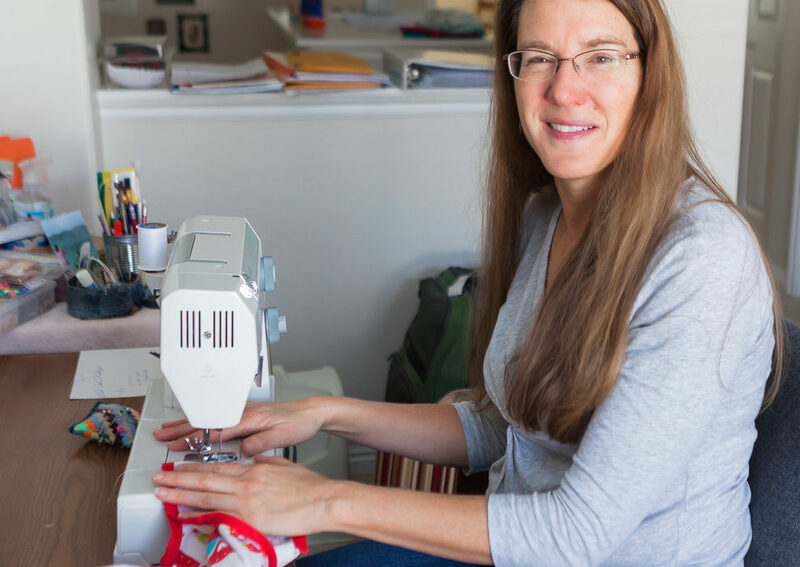 In her well-lit, organized sewing room, bins full of fabric await her attention. (“I love fabric,” she says. 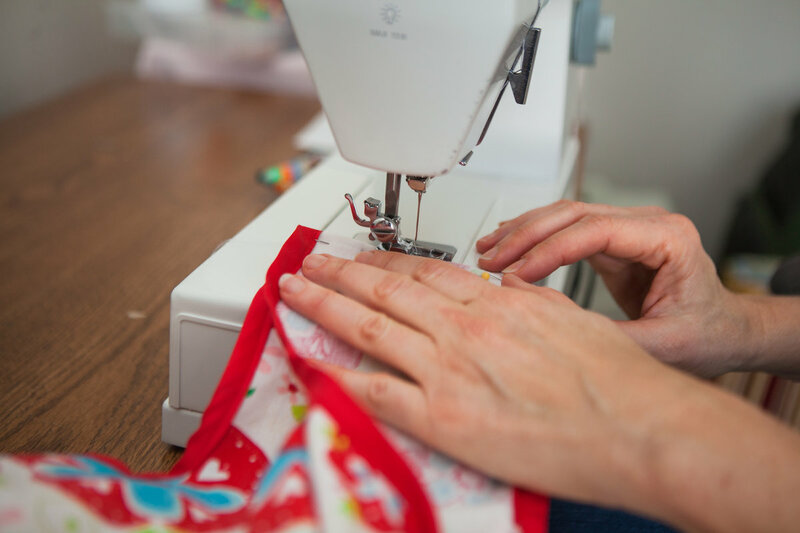 “It’s a big addiction.”) Her Bernette sewing machine, a workhorse that’s been faithful for 31 years, stands at the ready. 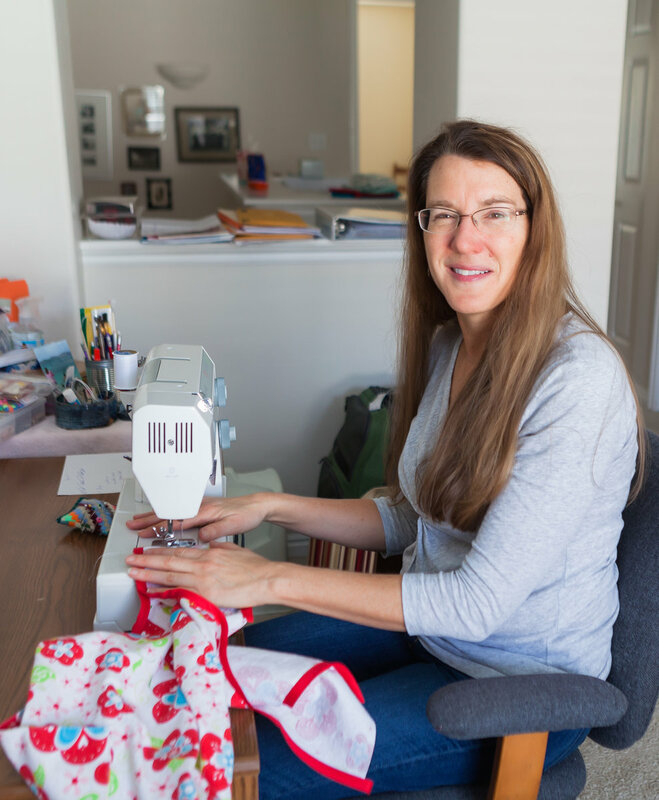 Throughout her life she’s always “dabbled” in sewing, but it wasn’t until three years ago that her sewing got serious. Her mom suffered a health scare and Borns spent weeks in Florida caring for her. When she returned to Draper her general restlessness had turned into a specific urge to artistically create something unique and useful. 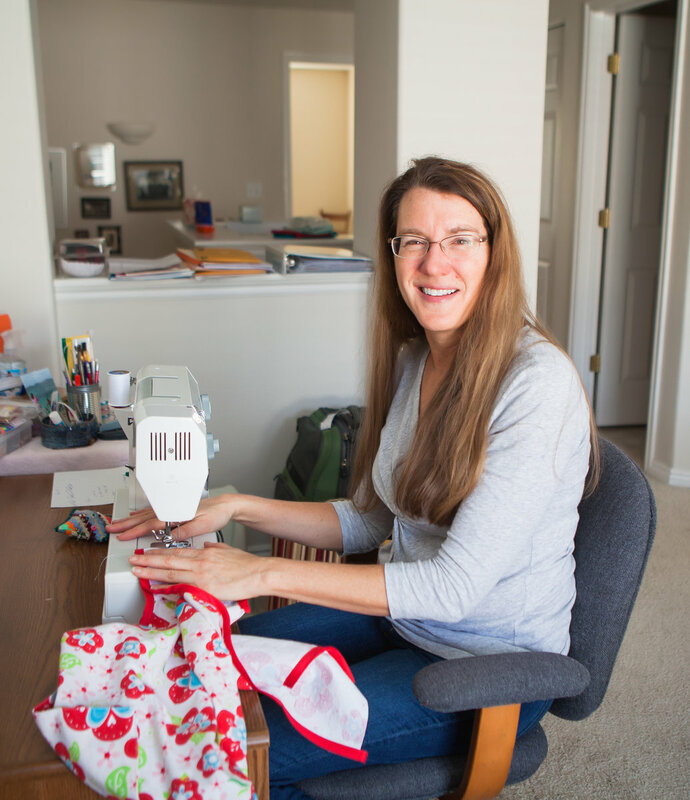 “I started to sew, and I couldn’t put my machine away,” she says. 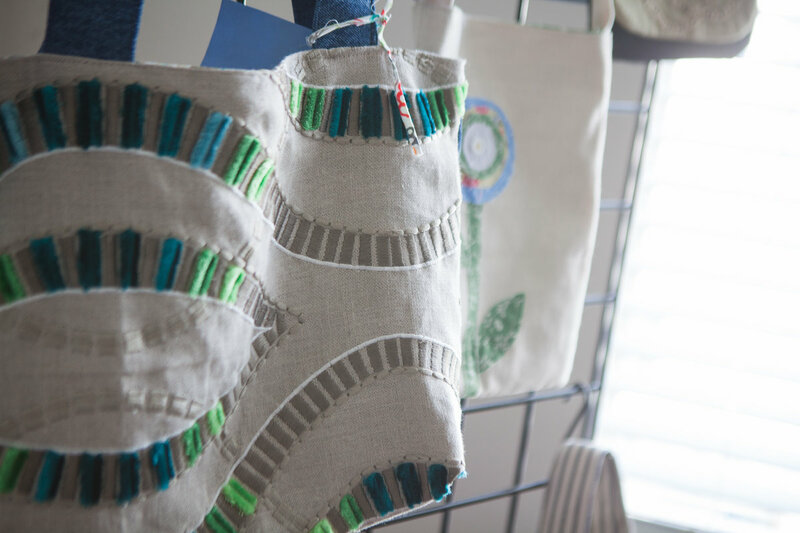 Her beautifully crafted creations, each lined with a complementary colored fabric, are designed for utility. 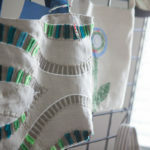 As an example, she’s created a quilt-like picnic blanket and matching pillow that fit nicely into a coordinated tote bag for outdoor concert aficionados to use. Borns takes coordination seriously, studying color theory in order to understand how different hues go together. 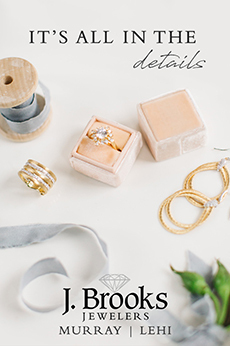 Perhaps more important, her well-thought-out designs complement each other in form and functionality, resulting in an aesthetically pleasing and useful product line. Her friend, Mary Ness, says Borns’ creativity comes from a fine appreciation for textures, colors and patterns. 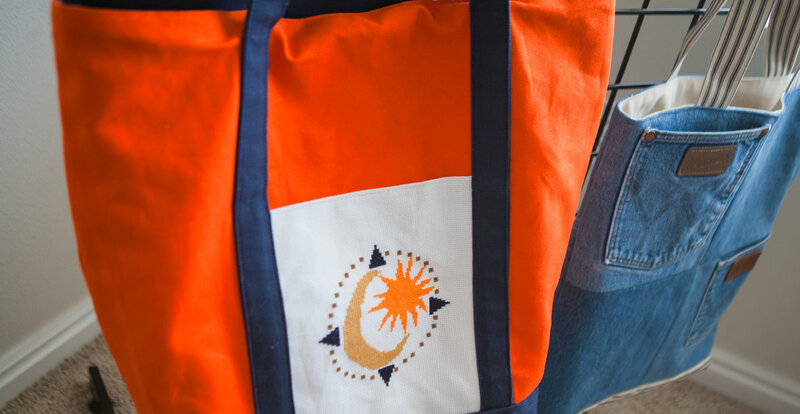 She likes how Borns’ purpose-oriented totes and bags help organize her life. 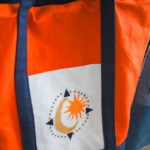 Ness has specially designed totes for the library, yoga and one for work with a special pouch for carrying brochures. All have proven their usefulness daily. 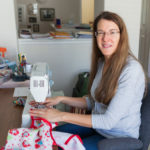 With the floodgates of creativity opened and sewing creations piling up, Borns decided to sell her work through her small business, Blue Sky Creations, and also displays handiwork at the Draper Arts & Crafts Festival. She holds open houses for friends, who she says are her best customers. 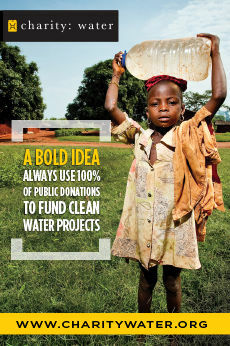 Like her hands, Borns’ mind is also busy thinking of new ways to embellish her work. She shows her favorite thrift store find—pearl buttons from the ‘40s—and wonders how she’ll decorate a tote bag or purse with them. 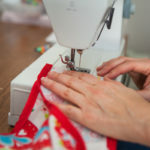 She continues to learn new techniques, notably trying her hand at appliqué (ornamental needlework) as well as bead work. Whichever it is, her hands will be busy.